I'm doing it at the moment, Wouldn't recommend it. It is so organised and everyone on the course has said this. It is very bad in terms of their exam dates, lack of communication and they are a fairly new course, which I NEVER knew otherwise I wouldn't have picked it. A big REGRET! I know this is a really old post, but its the only one I could find on TSR for this specific course! I don't suppose if you decided to complete this course you could tell me what you thought of it? I'm in the middle of deciding whether to accept my offer! That is great news you have an offer from Reading! I am a 2nd Year Food Science student so have got some information from a Psychology student who is taking some of the modules in this Masters course - which I hope will be of use to you. Most people on this course tend to do a placement, generally in the AnDY (anxiety and depression for young people) clinic which is in the Psychology department or in another NHS clinic in the department. You will be taught by both internal and external lecturers, preparing you for further training in clinical psychology. You cover a variety of disorders, the treatments and how to work with them - such as Autism, ADHD, OCD, eating disorders etc. She gave very positive feedback about the modules she is taking. Also, Reading is a lovely campus university with everything that you need on the campus - a 24 hour library, a small supermarket, a Sportspark, a bookshop, most of our accommodation and lots of study space! We are a short walk (about 30 mins) into the centre of Reading or we have a 24/7 bus which takes you to the train station. We have also won the Green Flag Award (the same as Hyde Park) so have lots of green space to offer! We also have a great students union with lots of events organised throughout the year. 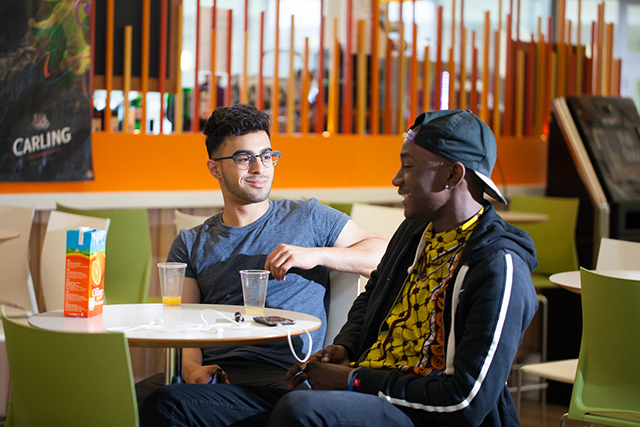 In terms of accommodation - if you were thinking of living in halls they are all situated either on the campus or slightly off the campus (up to 10 minutes). 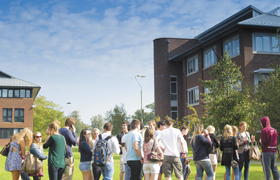 You can request quieter accommodation or there is postgraduate only accommodation in some of the halls such as Greenow house (Greenow & McCombie). There are also lots of student houses surrounding the campus and also private halls near our London Road Campus (around 15 minute walk) or in the centre of town. Hope this helps, and any questions please feel free to ask! Thanks so much for your reply this has been really helpful! I wonder in regards to the course, some of the previous comments on this post had mentioned that it was very badly organised etc and that it was difficult to get in touch with tutors... would you be able to ask your friend about her experience with this? Also if I could ask you generally about Reading campus... as somebody who isn't particularly fond of big cities, I did notice that this campus is pretty spread out and the library, for example, is a long way from e.g. the psychology department and the doctors etc. It sounds silly, but do you find it easy enough if you don't know the area to get around and not forever walking miles from A to B? Thanks as well for your advice on accommodation... I was a bit worried about going back into halls as a postgrad but knowing that there is postgrad only accommodation is ver reassuring . I will let Alice see if she is able to ask the Psychology student about the organisation of the course. However, at Reading all of our teaching academics have office hours which are a dedicated time each week that they will be in their office and ready to answer student queries. Although I am not part of this course, I've found that I have always been able to contact my lecturers and get a prompt reply via email, which should be the same for you. If you were having trouble getting in contact with someone or with the course organisation, you could speak to your personal tutor who would be more than happy to assist. With regards to your question about the campus, as a first year student I personally found it easy to adapt to, in the first two weeks there are plenty of Student Ambassadors around to give directions and help you find your way. Once you know your way around, walking between buildings is easy as you learn the quickest route and will often be walking with friends who know where to go. There is a lot of open green space which makes our campus look lovely, many people like to de-stress by going for a walk around the lake. I hope that helps, if you have further questions then feel free to ask. My friend has said all of the tutors are approachable and easy to get in touch with! She is unaware of the course being disorganised, the course itself is well established and structured. Some level of disorganisation may come from the placements, but that depends where you do your placement but overall she says it is a good, well organised course! Hope this helps, and any more questions feel free to ask! Thank you so much, you have both been really helpful! It is just worrying sometimes going to a city that you have never been to before! I think I will need to take a trip to the city to check it out . I'll let you know if I have any other questions!! Mental Health MSc UCL or Kings? How to know which of the two routes you want to take..practitioner or research? MSC Clinical Psychology Reviews and Experiences? Which postgraduate path should I follow?